I have a question — I am a beginner. 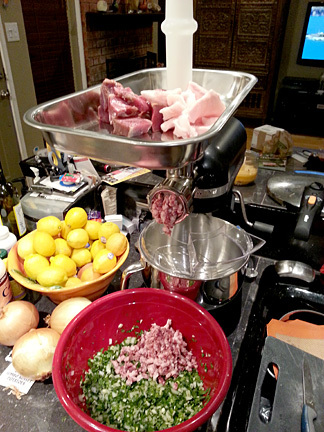 I am wanting to grind whole chicken thighs for raw dog food. Do common meat grinders do bones? Apparently, my Kitchenaid is the cheaper version so I am thinking of purchasing a stand=alone grinder. 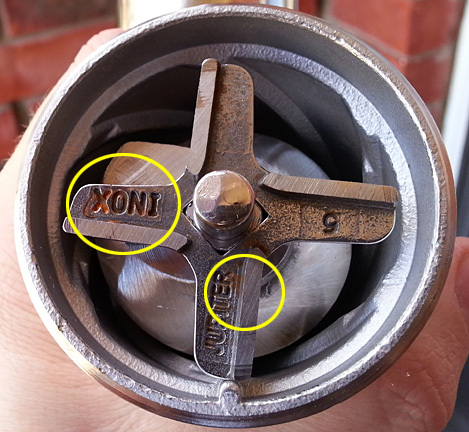 oops – just read older comments and see similar questions about bones. Maybe I will see if my local grocery store will grind for me. Thank you for this article! 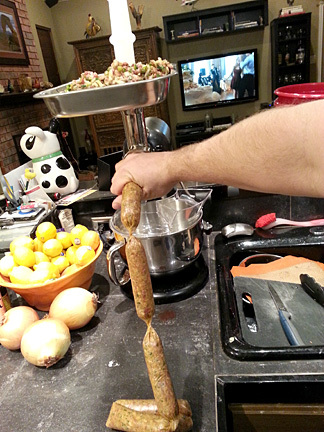 I am awaiting delivery of my Kitchenaid Pro 600 — and one of the reasons I bought it, instead of a smaller mixer, was for the ability to grind meats and make sausage. For quality reasons, I prefer to avoid plastic attachments. I will be buying my grinder and stuffer from the link you provided. 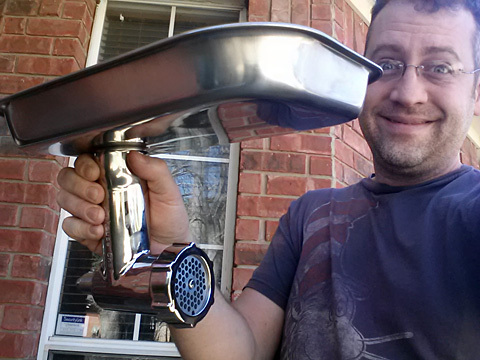 The price is excellent for a stainless steel outfit. 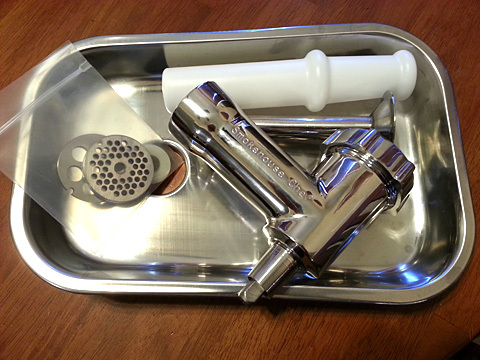 I’ve been looking for as SS meat grinder (must be dishwasher safe) and so far no luck. I purchase pasture raised organic chicken breasts from Whole Foods and would love to make chicken meat loaf but can’t find a grinder. In the past, I would have WF grind for me but I would prefer to grind my own. 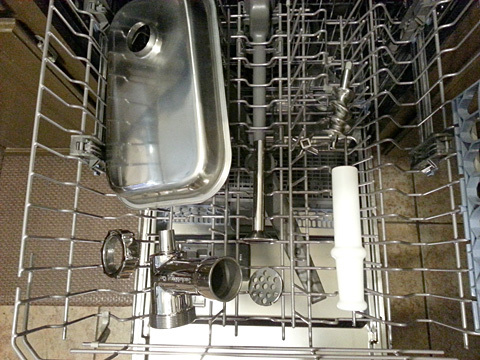 Is kitchen-aid the way to go? Which model? Stephanie, the basic Artisan model will do fine grinding a few chicken breasts here and there. 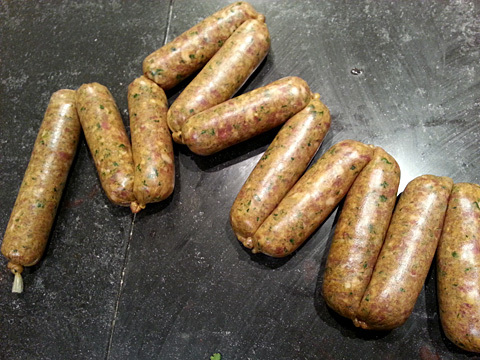 If you get into more intense or longer grinding (like making several pounds of sausage), you’d want a higher-wattage model, like a 500-600watt. Hi Ben, Your article is beyond helpful, really a key resource! 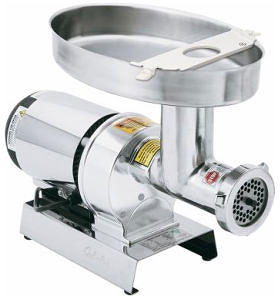 I am curious if you have any advice on using the older KitchenAid mixers with the meat grinder attachment. I have one of the original mixers made by Hobart. 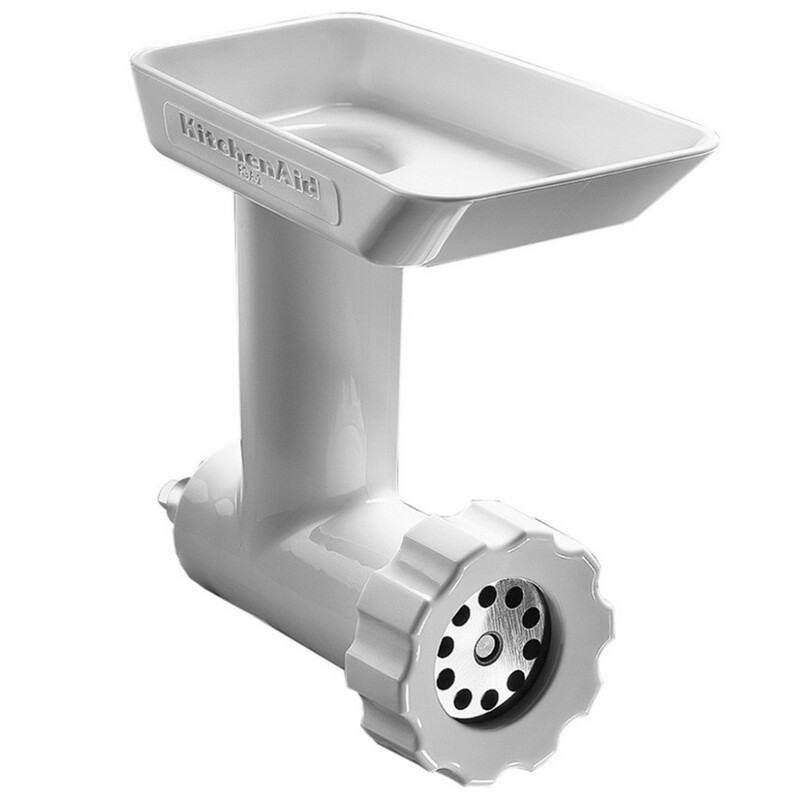 Do you think the Hobart made KitchenAid mixer would work well with the meat grinder or is the match not ideal? Many thanks! Thank you for all the useful information about grinding meat. 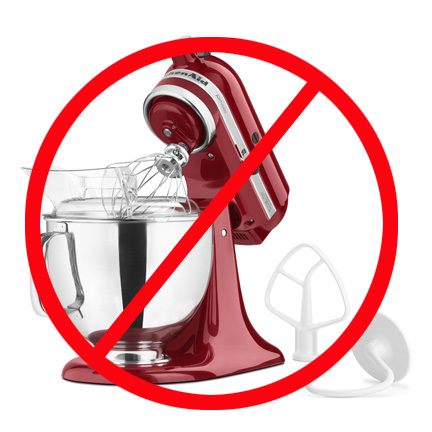 The link you provided for a KitchenAid mixer is no longer valid. I need to purchase a mixer and am not sure which one you are recommending. The professional 600 doesn’t list the amount of horsepower, just wattage. There is also the professional 6000/6500 which does list horsepower. Which model do you recommend? Anita, any of those Kitchenaid models should work fine for grinding meat!